Awhile back I found two folding trays at Goodwill for a couple bucks each. I wish I had a picture to show you because they were UGLY! But let's call them vintage! It sounds so much better, haha. Your grandma probably had something in this color palette...dull brass with some weird orangey-avocado-green-and brown pattern on the top. I can't even remember what it was. It was that ugly, I think my brain just blocked it out for protection, lol! But they were sound and fully functioning. And I could envision them being something so much better! I brought them home, cleaned them up and spray painted them white. They looked a whole lot better but were calling out for something more. These trays wanted to have some personality!! 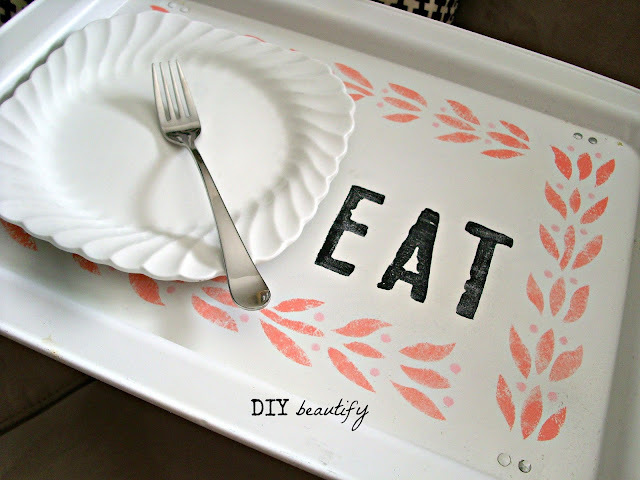 I found some stencils at Michaels that I thought would work nicely and got to work. Once the paint dried, they got a couple coats of clear poly sealer for protection, and so they could be wiped off. Here they are today, all redone. 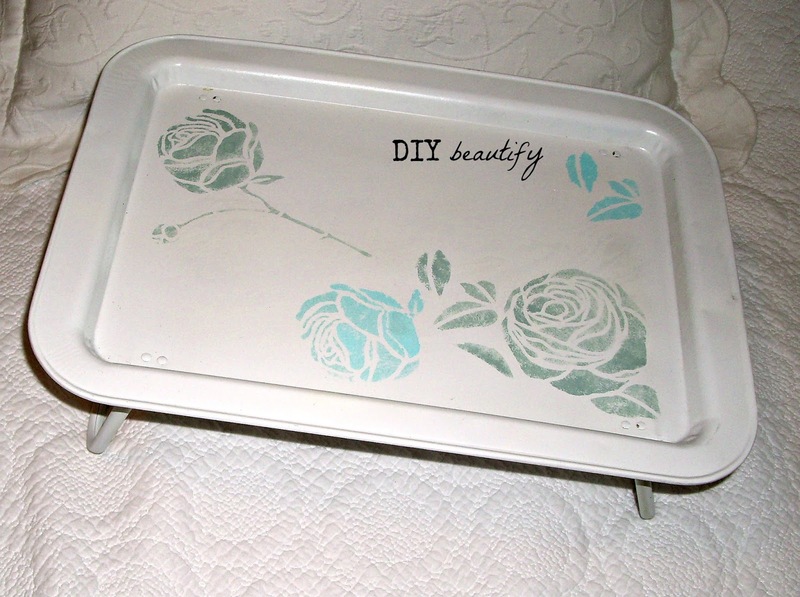 The first one got a shabby rose stencil in shades of aqua. I was thinking "bed and breakfast". The second one is totally different. 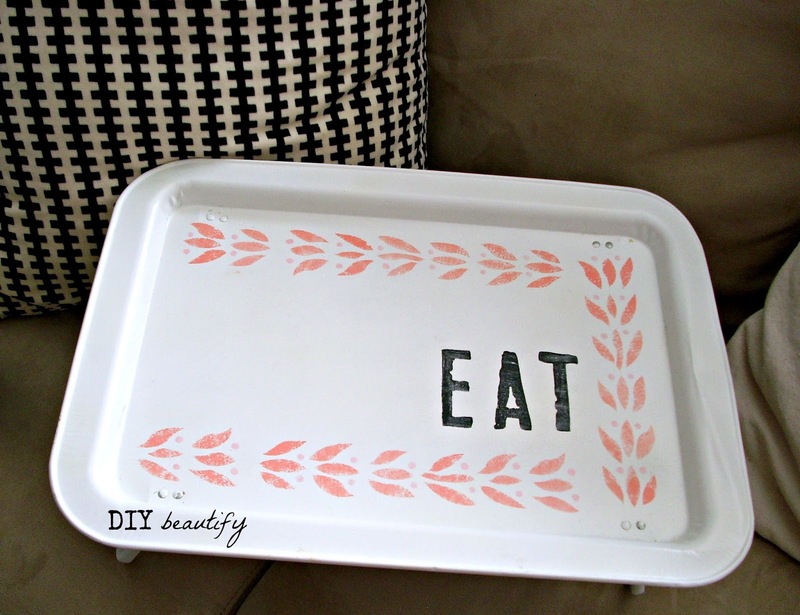 I painted it with a coral and pink combo and then used some large foam alphabet stencils I have and spelled the word 'EAT'. These trays are wonderful for either breakfast in bed (Mother's Day, birthdays, the very odd Saturday when your husband wakes up before you and decides to treat you) or dinner in front of the TV because they fit just perfectly over your lap. 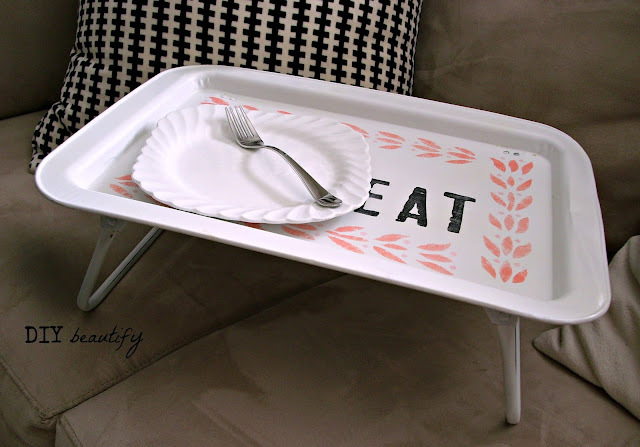 These trays aren't getting nearly enough use in our home. 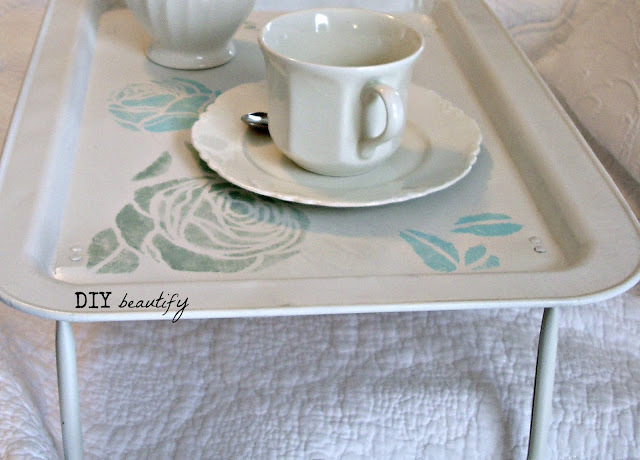 I think I just might start a petition...mandatory breakfast in bed for all moms once a week! Anybody with me on that?? 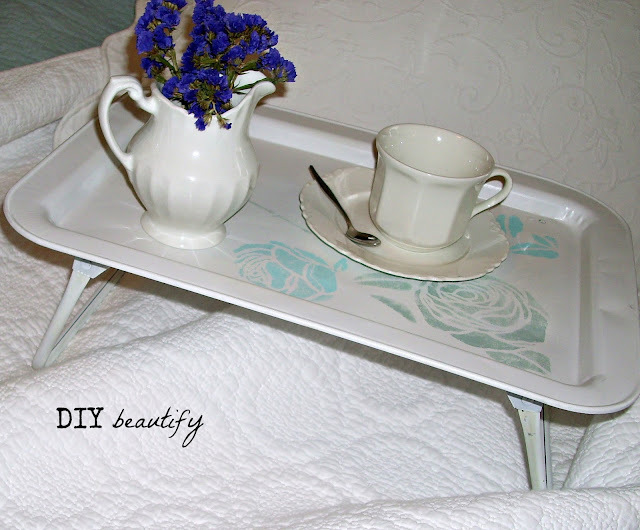 I found some tv trays not too long ago in a thrift store that were so ugly I had to leave them there. I didn't even pick them up to see if they worked. LOL! Now that I've seen yours, I may just have to focus on what they COULD be rather than what they are. I especially love the "eat" one.